Unit Plan Sizes: 692 - 1,206 sq. 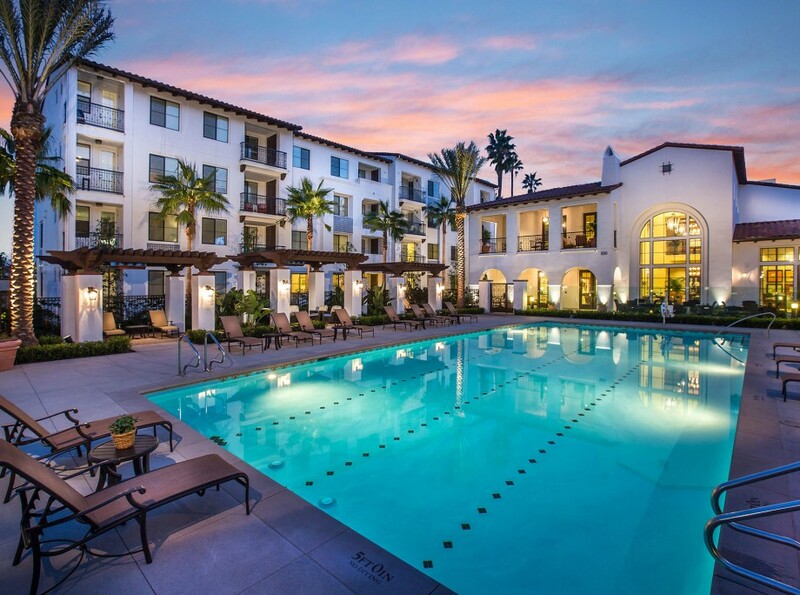 ft.
Azulón at Mesa Verde in Costa Mesa, California epitomizes what it means to live an elegant 55 or better lifestyle. Designed with a neighborhood respecting old-world Spanish vocabulary, this development is planned around three active courtyards; one with a direct connection to shopping center next door. Azulón is envisioned as an enclave within the city providing all of the tranquility and comfort of a secluded compound, but with the convenience of walking to shopping, dining and entertainment. The buildings are a combination of three and four stories, connected by a two-story recreation building. Builder: Lucas General Contracting Corp. Interior Designer: Austin-Johnson Interior Design, Inc.
Civil: Tait & Associates, Inc. Structural Engineer: Dale Christian Structural Engineering, Inc.